Litho or digital printing – the choice for businesses seeking Leeds Printing – or across the UK! This entry was posted on April 30, 2015 by admin. At PrintLoft we have many years’ experience in the printing industry, and have built a reputation for quality from Leeds printing to operating as printers in Manchester, and across the UK! Based in Blackpool, we pride ourselves on our scope, quality and expertise. We like to think we know a little something about printing, after all this time providing printing services to Liverpool and all over Lancashire, including Manchester printing. Digital printing in the UK, including for products in Manchester printing and Leeds printing, has always been the quickest option for the client. Nowadays, however, with the advent of computer to plate making (CTP) Litho printing is able to be quicker than ever, giving Digital a run for its money! When looking to use metallic inks in your finished printed product, for example if you are looking to invest in eye catching and crisp business cards in Manchester, or anywhere across the nation, Litho printing is the only option. It is also much more versatile in terms of what materials it can print on to successfully. For those seeking printers in Liverpool, or elsewhere, this is crucial to know. For small run batches, with a very fast turnaround, it can make sense to employ digital printing methods. When looking for printing services in Liverpool and across the country, remember that the cost of Litho printing reduces with every additional print. Looking for printers in Manchester? PrintLoft are nearby to help with all your printing needs! For all applicable products, Litho Print Presses are always used at PrintLoft, to optimise print quality, yet we still manage to offer such superb prices. We often engineer this by batch running jobs together for greater efficiency. We ensure to complete regular quality checks so that the printed products across all categories are consistently processed and finished to the high standards expected from all our clients, from those requiring printing in Leeds, to those looking for printing services in Liverpool. Digital printing has improved over the years, and in some instances it is difficult for a lay person to distinguish between the finished product of Digital or Litho printing. 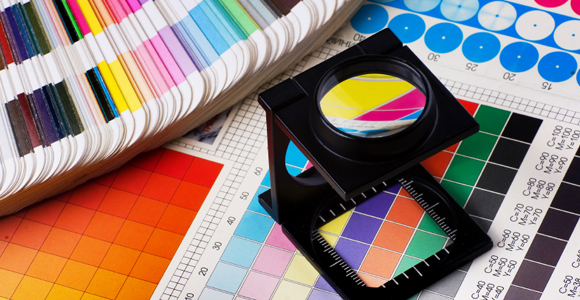 However for precise graduated tints and for printing large solid blocks of colour, Litho is a better option. When looking for business cards in Manchester, or anywhere in the UK, it is important to bear this in mind when considering what sort of design you will require. At PrintLoft we are always happy to field any questions or help to facilitate the design of your printing needs. For any job, wherever you are, from business cards in Manchester, to Leeds leaflet printing, we have the skills and experience to execute the perfect printing for you. Looking for cheap leaflet printing? We can beat printers in Nottingham and elsewhere! Looking for Birmingham printers? Printloft supplies high quality printing to the nation for less! Looking to Print in Liverpool? Printloft provide the best prices and quality wherever you are, like our cheap sticker printing! Looking for printing services in Liverpool? PrintLoft brings you the best prices wherever you are!